EXHIBITION Arturo Barea. The English window. Instituto Cervantes Manchester presents an exhibition of literary works on the 60th anniversary of the writer’s death One of the most translated and read authors of his generation, Arturo Barea (1897- 1957) is regarded as one of England’s greatest champions of Spanish literature. For three months, Instituto Cervantes Manchester, in collaboration with the literary archive dedicated to the writer, brings together the first comprehensive exhibition of the life and works of Arturo Barea. The collection focuses on the writer’s 18 years of exile in England; having witnessed so much suffering and horror during the Spanish Civil War, Barea found the peace here that he needed to write and he became the first Spanish correspondent for the BBC. This exhibition features several editions of Barea’s works, in particular La forja de un Rebelde (The Forging of a Rebel), as well as documents, unpublished letters, his typewriter and the only recording of him that exists. The collection will be launched by the curator of the exhibition William Chislett: writer and journalist, former correspondent for The Times in Madrid, and an Associate Analyst at the Spanish think tank Real Instituto Elcano (Elcano Royal Institute) since 2002. For the event, a catalogue has been published and, as well as an extensive bibliography of Arturo Barea’s works, it features all of the exhibited items and further essays written by Antonio Muñoz Molina and Chislett. Available at the exhibition, the catalogue publishes, for the first time, several important documents about the life of one of the most important and most read exiled writers from the Spanish Republic. 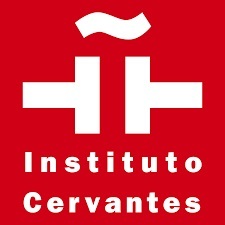 Members of the public are invited to attend the opening night, which takes place in the exhibition space at Instituto Cervantes Manchester on 27 June 2018 at 6pm. The collection will remain on show until 17 September 2018.